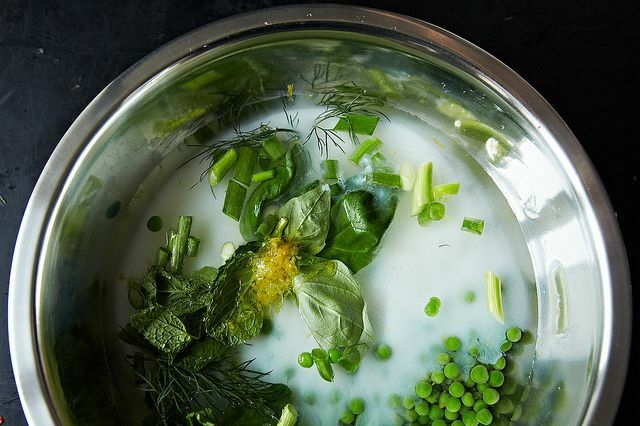 Today: A chilled soup that (finally) feels like soup -- thanks to a clever cooking technique and some seductive spring trimmings. Cold soup is, more often than not, a compromise. 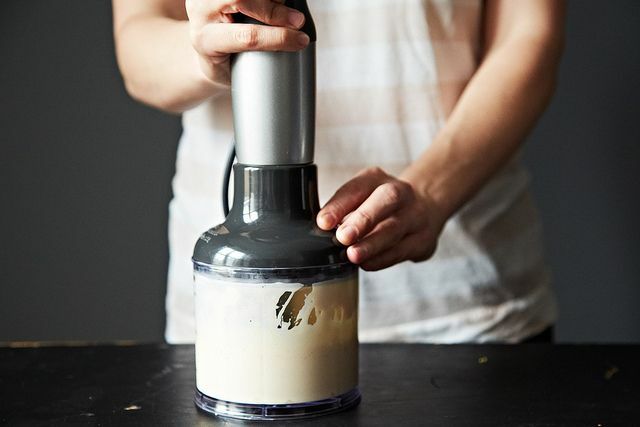 Sure, it serves its purpose: dinner from the blender on a sticky day is better than a dinner you have to cook (or no dinner at all). 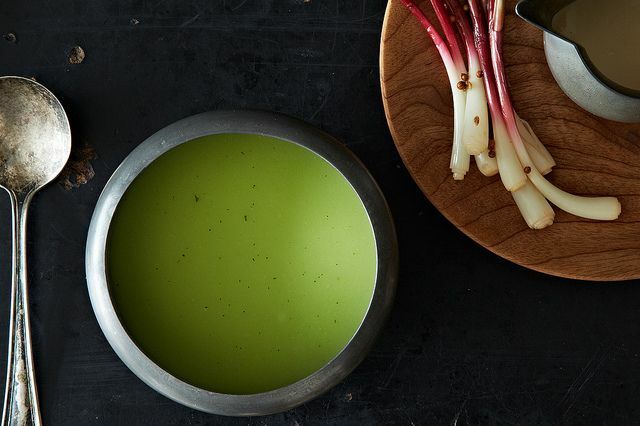 This week's genius recipe -- a chilled pea soup from Chef Justin Burdett of Ruka's Table in North Carolina -- is a very good approximation of normal soup, but one fit for a steamy late spring. 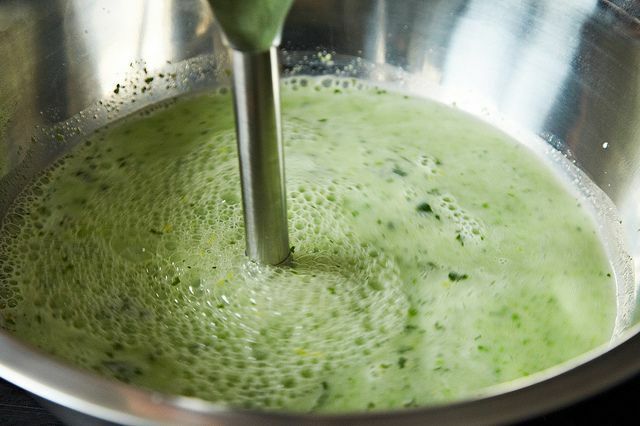 You barely have to cook a thing, but all of soup's best qualities -- the playful marriage of smooth and crisp; rich and bright -- are there. Let me explain. 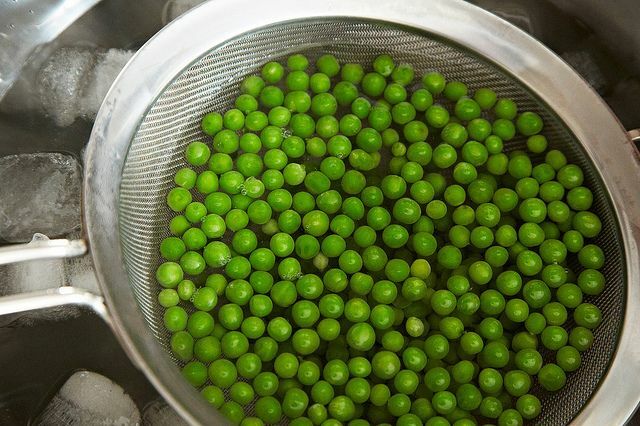 The peas are blanched in salted water, then shocked -- also in salted (ice) water. 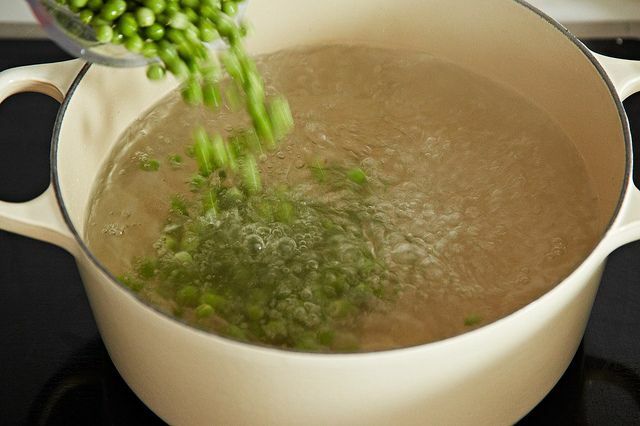 The second dose of salt isn't part of standard blanching procedure, but here you're going to take some of the salty water your peas are chilling in and put it right in your soup. "It’s already cold and seasoned," Burdett explained -- with salt, of course, and slightly with the taste of the peas. 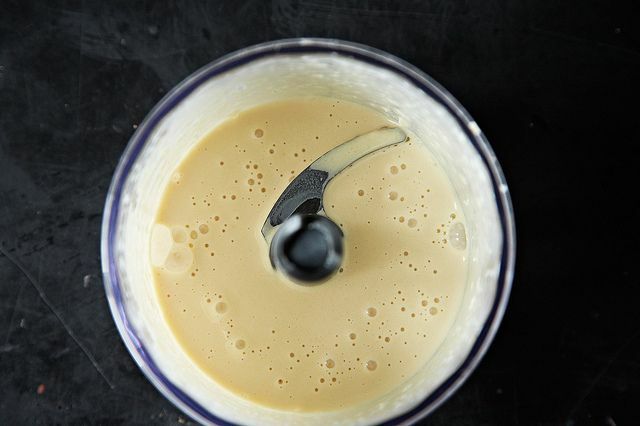 It's a little bit like making an instant, pre-chilled stock. 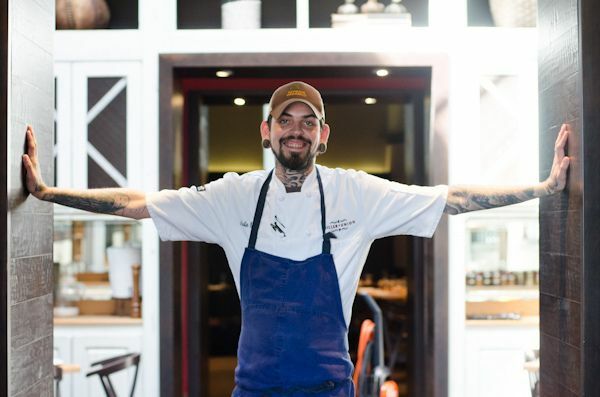 "We do this with all the vegetables we blanch," Burdett said. 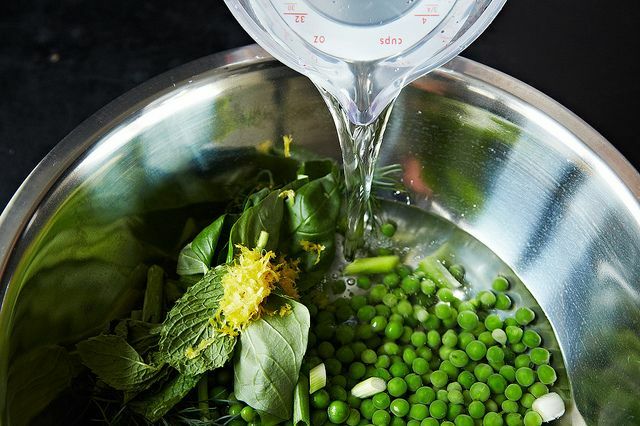 From there, you marinate your freshly blanched peas (and water) with some buttermilk, lemon zest, and loads of fresh herbs. 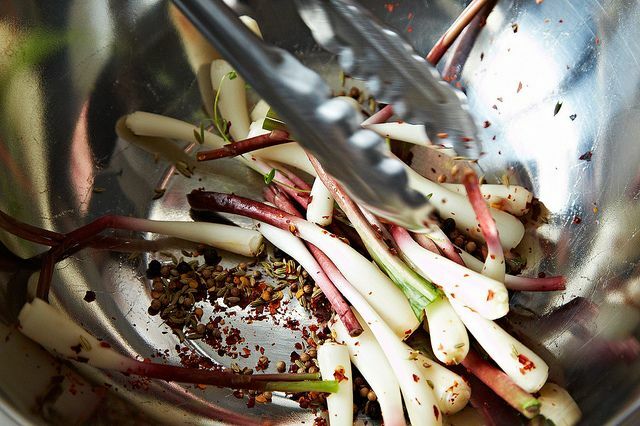 While they mingle, you'll chop up some garlic, melt it down in butter and cream, and blitz it into a miracle condiment. 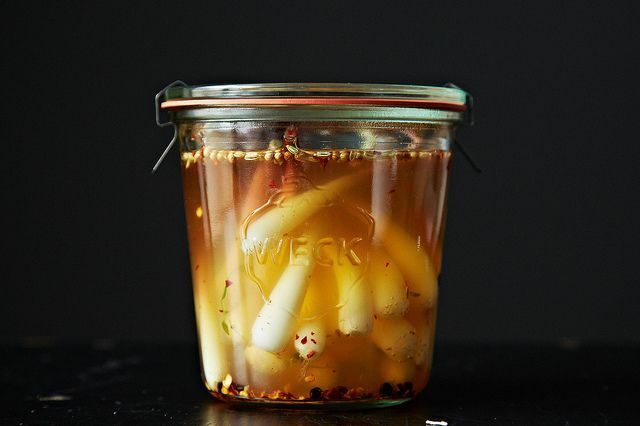 You were supposed to pickle some ramp bulbs the night before, but I've done this last minute and stuck them in the freezer to cool down extra fast. It's fine! 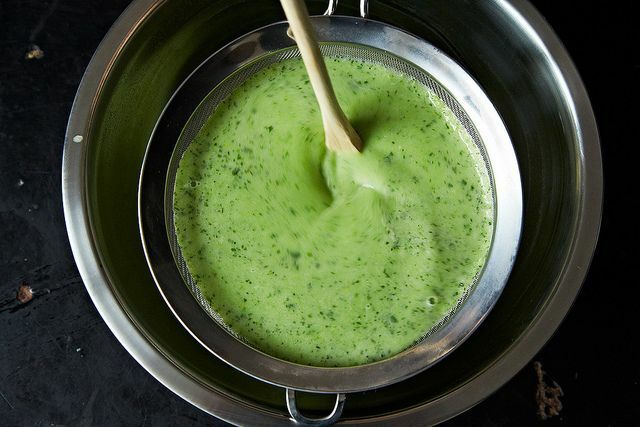 Blend and strain the cold pea soup, then swirl together with the cream, Rorschach-style. 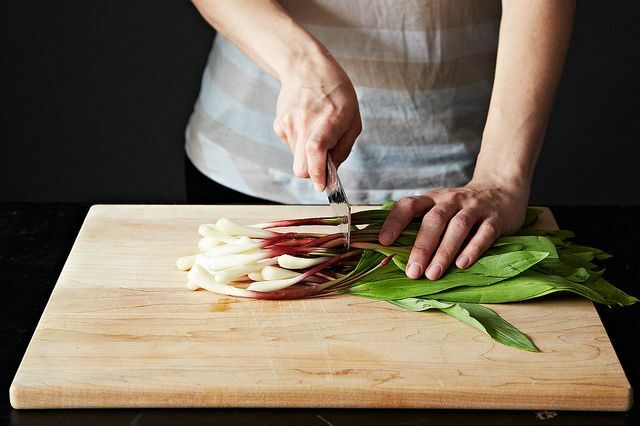 Slice those ramps to scatter over the top. 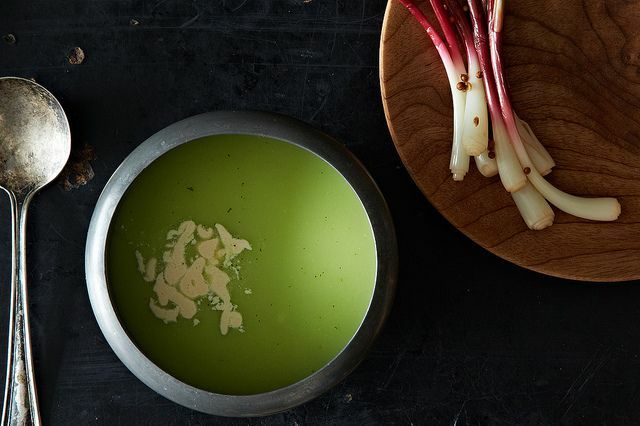 It's the tug between a bright, weightless green soup, a swirl of straight decadence, and flickers of brine that make this real soup, beyond a doubt. One you'd happily eat in less desperate times, but one you're thankful for right now. What can I substitute for ramps as I can't get them in my area? 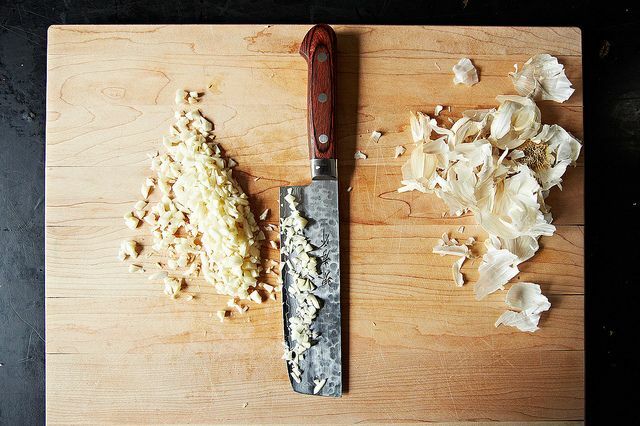 You might try spring onions or shallots -- let us know how it works out! Janete, I'm really sorry to hear that -- did you use kosher salt? If you used table salt or fine sea salt, that may have tipped it over the edge. Would love to print this, is there a print friendly version? This soup is amazing--and I am not into chilled soups or even pea soups, for that matter! Delicious! Kudos to you for trying it despite! (I feel the same way, in case you couldn't tell.) So glad you liked it. 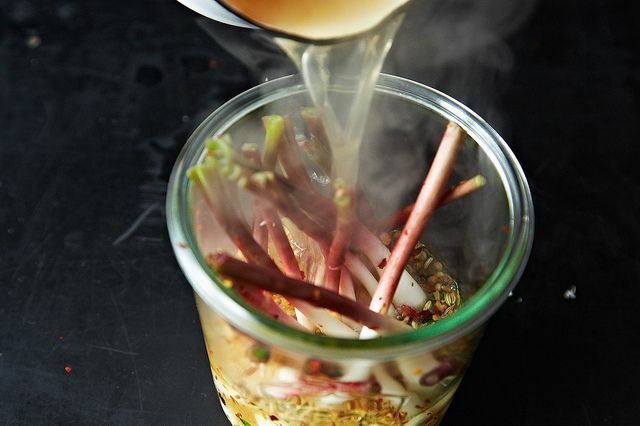 I am very fond of chilled soups, and this one looks wonderful. I hope you like it -- we thought it was pretty wonderful.